ALifeinSpain.com is an A4 high quality glossy lifestyle magazine. It’s aimed at the booming Spanish property market and targets the aspirational aspects of the property buyer, whether as a holiday home, an investment opportunity or as the start of a new life in Spain! ALifeinSpain.com provides the reader with well researched, professionally written and interesting information. It's a coffee table magazine, one that's kept and collected over the months. 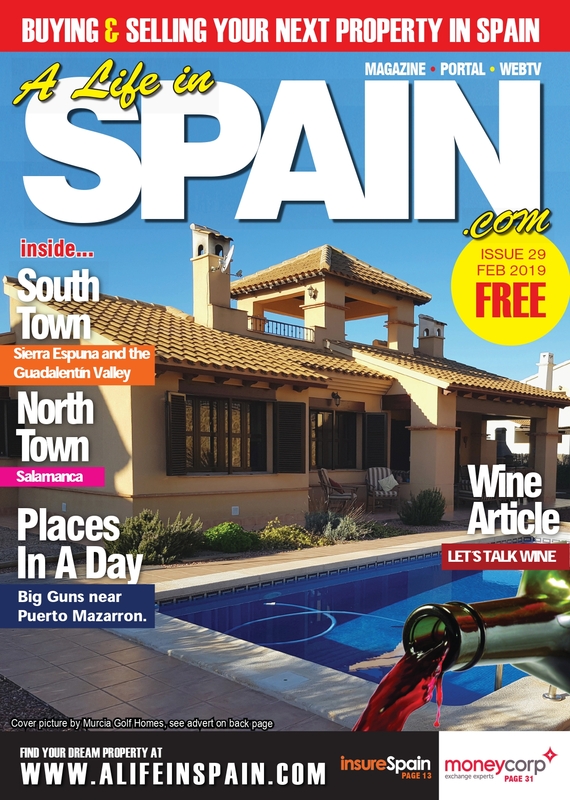 15.000 copies are printed and distributed every month to over 350 outlets stretching from Alicante Airport, to Mazarron, everywhere in between and inland as well. All our articles are available on line and in any language, along with being promoted via social media both in Spain and back in the UK. 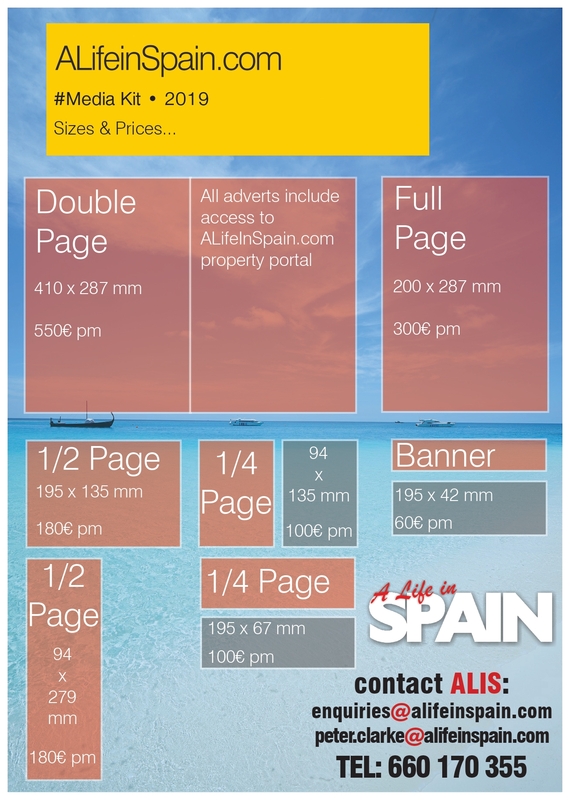 ALifeinSpain.com is also a property portal! That means EVERY advertiser can benefit from listing thier properties for FREE on the fastest growing webportal dedicated to the Spanish property market. We've a team of web designers, developers, Social Media Marketers and Search Engine Optimisation experts workign on promoting and improving ALifeinSpain.com all important rankings in search engine results. This takes time and a huge amount of effort but we're aiming to take on and beat the big players like rightmove and kyero for Spanish property listings, and at a fraction of the cost for our clients. Depending on your advert size you can either upload your properties manually on our simple platform or send us your XML feed for automatic inclusion. If you haven’t got a feed we can even arrange that for you! A Place in Spain will regularly publish interesting videos & webtv programmes on Youtube, Vimeo & other social video channels. From Area Focus reviews to the “Top 5” – video engagement is key to ensuring A Place in Spain get’s your properties noticed! For a full overview of the benefits A Life In Spain can bring to your business, download the Media Kit now!